This mod is for super lazy players or for those who do not want to duplicate the same buildings several times. In fact, the Instant Structures mod is perhaps the most convenient concept for instant construction. You need to complete the following steps to deploy the finished building. 1) Craft a structure block which is the basis for the other buildings. 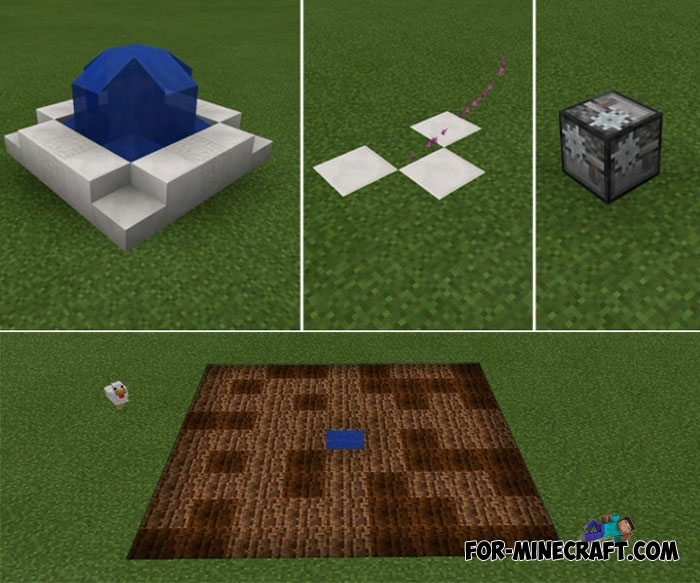 2) Craft one or more instant structures blocks. It is these blocks that contain the buildings inside. 3) Place the resulting block where you want to see the structure and then tap on it. After a moment, the expected structure will appear in that place. As you can see, it's very simple, but keep in mind that you can not collapse the structure back, just destroy it. All recipes can be seen in the archive. They are not complicated so you can prepare several blocks in advance and go to find a new place for the house and then immediately deploy the structure. How to install the Instant Structures mod? Run BL and select ModPE -> activate the mod file (Instant Structure Mod.js).